A warm welcome from Wellnessresidenz Alpenrose on Lake Achensee! Our 5***** wellness hotel in Austria turns holidays into dreams. 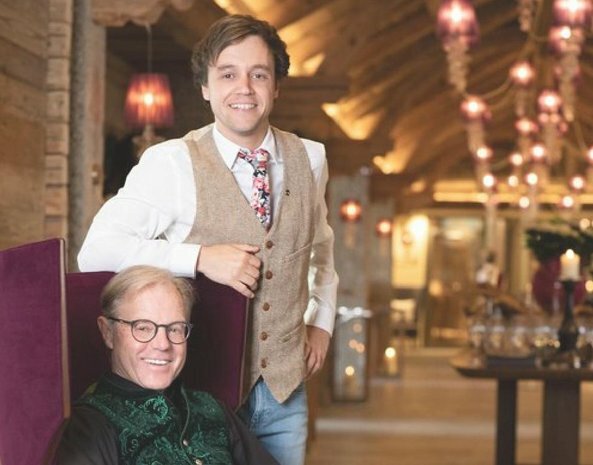 We look forward to spoiling you with our cordial hospitality and alpine wellness on more than 8,500 square metres of pool area, sauna and relaxing surroundings on Lake Achensee. As part of your unforgettable wellness holiday in Tyrol, an unparalleled programme of pampering awaits you. In the spacious wellness area and Temple of Vitality you will experience everything that makes our spa hotel in Tyrol so special: massages and body treatments; enticing lights, sounds and scents; wellness baths that let the busy day-to-day appear a million miles away. Here in the tranquil Maurach, nestled between Lake Achensee and the mountain, the summer months are an oasis for your walking and activity holiday in the Tyrolean Alps. A winter holiday at the Alpenrose combines wellness with snow sports and winter romance. We wish you unforgettably wonderful days of relaxation at the Wellnessresidenz Alpenrose! Wolfgang Kostenzer and Wolfgang Kostenzer Jun. Our wellness hotel in Austria turns holidays into dreams.<br/> Let us pamper you in this Tyrolean wellness hotel, and enjoy an 8,500 square metre complex for bathing, sauna and well-being. In our Temple of Vitality, you will experience everything that makes our spa hotel in Tyrol so special: massages and body treatments; enticing lights, sounds and scents; wellness baths that let the busy day-to-day appear a million miles away. Here in Austria, in the beautiful landscape of Maurach am Achensee, nestled between the lake and the mountain, you will find your hiking holiday oasis. 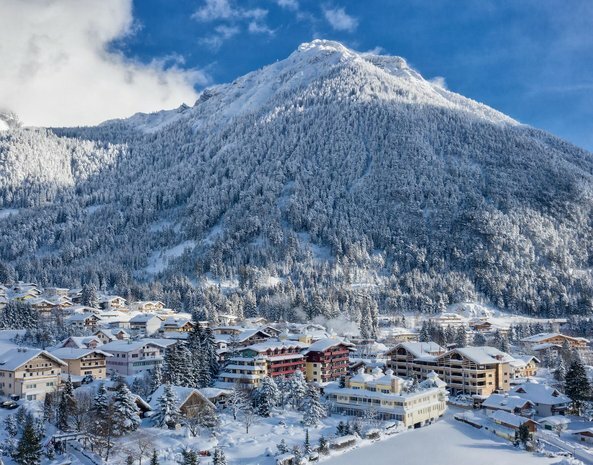 A winter holiday in this wellness hotel in Austria combines the enjoyment of well-being with snow sports and winter romance.